We JAYKUMARS ASSOCIATES are Mfg. 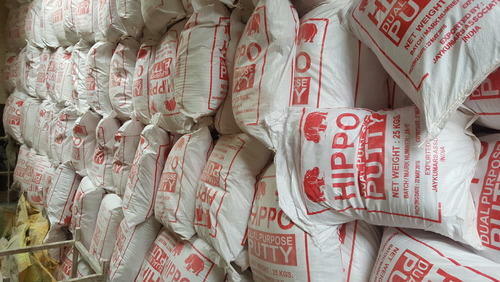 & Exporter of Putty / Mastic - for all Purpose use. * Market: Mainly supply to African Countries usage as Glass Putty/ Metal Frame Work/ Wooden Work, etc. purpose. * Production: 350 Tons Monthly Production supply line..
To promote your export import desires under a single umbrella called Jaykumars Associates ourself.May I take an opportunity to introduce Jaykumars Associates which is one of the most reputed Merchant Exporter Importer of Rajkot city located in the state of Gujarat in India. Jaykumars Associates established in August, 2000. Export Import is not only lucrative business, but it is also one kind of patriotism to our motherland to gain foreign exchange to our nation and economy linkages, largest possible market share is one of prime importance for any business establishment. We are switching from commercialization to internationalization. Since last 9 years we are continuing exporting below listed items to Burundi country in Central Africa, Dubai in country U.A.E., Tanzania country in East Africa, Russia and many other country. We have been known for our Innovation, Value and Customer's Service & Satisfaction.